Thanks to e-commerce, more people are shopping online for Black Friday sales than ever before. With this year’s Black Friday expected to top $3 billion in online sales, that’s a lot of products to ship—and a lot of packaging needed to ship it all in! It’s a big day to get ready for, especially if you’re a smaller business looking to enter the fray. Thankfully, with some smart planning, and these tips meant especially for prepping your small business and its packaging, your Black Friday can go off without a hitch. 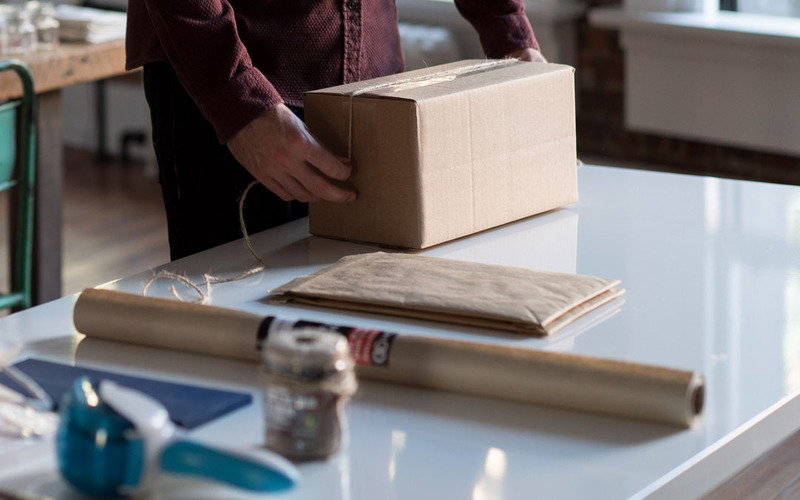 In the rush to get your products ready, it can be easy to forget about your packaging. There’s nothing quite as stressful as enjoying a banner Black Friday, only to run out of boxes and bubble halfway through your packing efforts. Stock up on plenty of boxes in multiple sizes (multi-depth boxes are a cost-effective choice if you’re really looking to stretch your packaging budget), void fill, packing tape and bubble mailers. They’re your bread and butter of Black Friday shipping materials. Dropping your product in a box, surrounding it with void fill, and sending it on its way is an easy, simple solution for packing things up. But it’s not the smartest. Not every shipment needs to be a box. If the space and protection of a bubble mailer is all your product requires, then that’s a smarter choice to make. You’ve now cut down on packaging materials, packing time and even shipping costs. Take a look at every packaging material you’re using. Bubble cushion is always a favourite, but it’s easy to use too much (and can be a pain to cut). Consider using a bubble dispenser box instead—with the bubble perforated every 12”, you’ll save time and reduce your packaging waste. Organization and planning can be the difference between total chaos or smooth sailing. If you’ve got the space, create separate areas for packing up your customer orders. We suggest the following 3 stations—they’ll cover off nearly all your packaging options. 1. Boxes Station for packing up, you guessed it, boxes. Stock it with boxes of varying sizes (you know what’s best for your products and their needs), plenty of packing tape, and the void fill options of your choice. 2. Mailers Station for packing up anything that fits in bubble mailers, glamour mailers and courier bags. Kraft bubble mailers are your go-to mailer choice, poly bubble mailers are ideal for protecting products from liquids, and courier bags are best for security needs. 3. E-Commerce Boxes Station for packing up any custom boxes you’ll be using, like front lock mailers or cut out wraps. Here’s where you’ll want plenty of custom packaging supplies like coloured tissue and custom bubble cushion. Don’t forget any finishing touches of your choice, like thank you cards, logo stickers and ribbon. When Black Friday hits, you’re going to be heavily focused on packing up orders and getting them out the door. You can save yourself an impressive chunk of time if you pack up your most popular items before the big sale gets underway. Organize your biggest sellers by whatever packaging works best, wrap them in void fill if needed, and keep them off to the side. Once those customer orders start rolling in, drop in a receipt, print off a shipping label and send those purchases on their way! A custom box, sporting your brand’s main colour (or just a bright, attention-grabbing colour in general), is a great way to wow your customers. If your logo is printed on the outside, that’s a point in your favour, as logos easily build anticipation for what’s inside. You can take advantage of the unboxing trend by using front lock mailers—customers will feel like they’re opening a present, rather than a package. Using coloured or printed tissue paper is yet another point in your favour, as it adds an exciting, expensive feel to what they’ve bought. And if you’d like to surprise your customers, try Bubble Wrap® IB Expressions. Whatever packaging options you choose, don’t be afraid to stand out. Customers love to be surprised, thanked and appreciated. And don’t forget a thank you card! By now, you know your business, you know your products, you know your customers—you’re already on the road to a solid packaging plan, even if you don’t know it. With these tips for prepping your small business, you’re going to have a great Black Friday.